Liezer-Legacy in partnership with Philbenz consult brings the highly rated movie, The Trial of Shatta Wale to the Golden city this saturday. 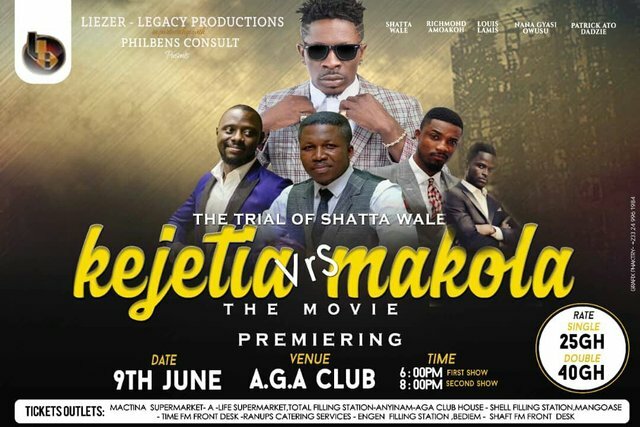 The movie which features the self-acclaimed Dancehall King, Shatta Wale and the Kejetia and Makola crew has had high ratings from viewers who attended the Accra and Kumasi premier of the movie. The movie premier will take place at the AngloGold Ashanti Club (AGA) house and the tickets go for GHc25 and GHc40 for single and double respectively. The first show starts at 6pm and the second show starts at 8pm. We have contacted you on your Twitter to verify the authorship of your Steemit blog but we have received no response yet. We would be grateful if you could, please respond to us via Twitter.